Pre workout supplements are extremely popular, and you’d be surprised by how many girls at your local gym take them. There is a lot of stigma suggesting that pre workouts are only for men and will make you bulk up and become some hairy ape – but that’s not the case. Are energy supplements specially designed to help you exercise by giving you more motivation, strength, and endurance. Sounds lame and go-go gadget, but in practice – it feels like just the thing you need. Just think of a pre workout as your warm cup of coffee before writing a college paper or starting your morning routine – it not only wakes you up, but it makes you sharper, happier, and increases your output! There are many different pre workouts available to you. As you become more familiar, you will notice that most of them are nothing more than plain jane energy drinks. But if you keep digging, you will find a select few high quality, genuine pre workouts that not only increase your energy, but also boost strength, endurance, metabolism, and recovery all-in-one. These are some of the supplements that we are going to share with you below as reference points to what to look for as a savvy consumer. Caffeine is in all pre workouts except for stimulant-free versions. Caffeine is included in nearly all pre workouts as it’s one of the most popular ways to get your energy up (1). It has also been found to increase strength and endurance (2). Nitric Oxide is a common pre workout term, which functions to increase blood circulation (3). Nitric oxide is responsible for the ‘muscle pump’ (4). Basically, this is a byproduct of ingredients like L-Citrulline Malate, L-Arginine, Nitrosigine, Grape Seed Extract, or Beet Extract. Watch out for big claims and under-dosing of ingredients in pre workout supplements. This is especially true for pre workouts directed towards women. If you are paying for an ingredient to be in there, then they should include enough of it to help you! So, we encourage you to do some tactical googling of key ingredients to see if they are taking care of you or not! Watch out for artificial sweeteners, colors, and preservatives in your supplements (5)! It is a little ironic that supplement companies would put harmful additives in products designed to help you get healthier (6)(7)… But it’s more common than not! To find these ingredients, check the ‘other ingredients’ section at the bottom of the ingredient label. You don’t have to take a pre workout supplement to get in the best shape of your life. We’ve mentioned this before in other articles, but it’s important to point out again. Pre workouts are not a requirement. If you have plenty of natural energy, don’t sweat taking a pre workout. You’ll do great on your own lifting hard and eating healthy! Yes, you can probably take your boyfriend’s pre workout supplement. Just because your boyfriend’s pre workout has an aggressive label doesn’t mean it isn’t safe and effective for you. Just make sure it doesn’t have 300+ mg of caffeine or mentions ‘testosterone. These simple tips are all you need to choose high quality pre workout supplements to help you get that Gym-Barbie look! Just by being aware of the 6 pre workout tips above, you will be able to see through 90% of the marketing tricks companies use to put mediocre products into your hands. From there, its time to run, lift, kick and sweat! That extra effort makes all the difference. 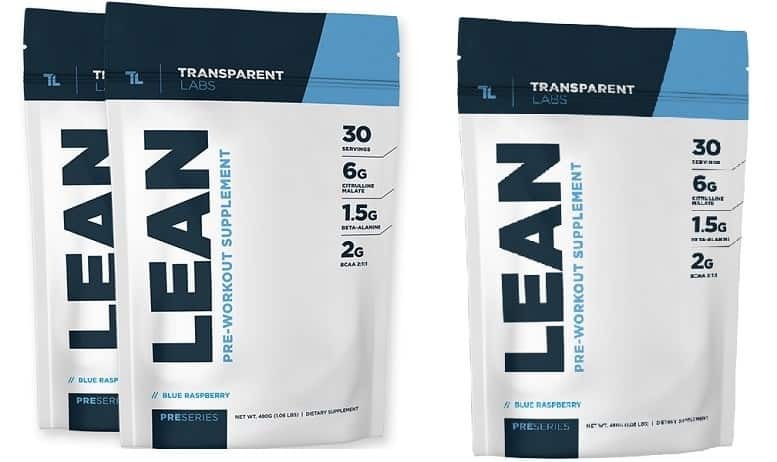 If you are the type of girl that always wants the best of the best, then Transparent Labs PreSeries Lean is exactly the pre workout for you. Overall, we can tell that a lot of time and care went into developing this premium pre workout supplement. Whereas other brands simply don’t. With that bigger per serving dosage comes really awesome results! After you take LEAN your focus, energy, endurance, strength, mood, and metabolism will all increase significantly. This is much more enjoyable and useful compared to other pre workouts that just give you the jitters. This sounds like a lot, and we wish that we could easily show you exactly how great it is! 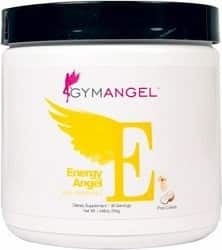 Energy Angel is a very simple take on women’s pre workouts, but there is no denying the fact that it will wake you up. It has a decent dose of caffeine and Agmatine sulfate for pump – but, what really catches our eye is the 3 grams of betaine like in LEAN. Betaine, is a fantastic supplement to be taking while working out. It aids performance, and more importantly really promotes your lean muscle mass, which keeps you nice and toned (8). If you want something to take pre workout that’s a super small dose and tastes good, this is it. Think of Energy Angel as the -“I just want a Red Bull caffeine rush on the cheap!” pre workout. 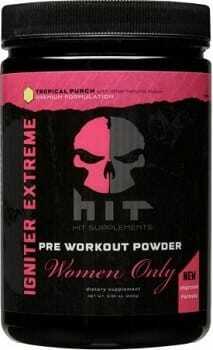 Igniter Extreme pre workout for women includes an energy matrix, like the pre workouts above have focused on; but also goes farther to include more ingredients that help your muscles perform. Inside Igniter Extreme you will find L-Citrulline and Agmatine sulfate, which help with circulation to give you better endurance and power. As well, there is a small BCAA mix to aid in recovery and endurance. 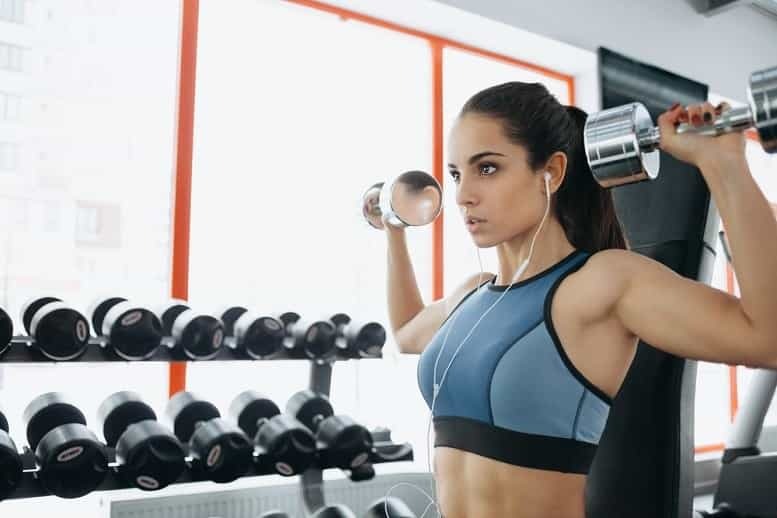 Overall, this is an improvement over what we’ve seen as it aids in your overall goal of getting in better shape, not just the energy component. Ignite is a true designer pre workout. Fit Miss succeeded at developing a very unique and attractive bottle and box labeling. However, upon further inspection of Ignite pre workouts ingredients, you can tell that the Fit Miss team spends more time on graphic design software than in the lab, or in the gym for that matter. 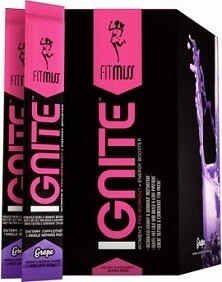 There is serious value in being able to buy a box of Fit Miss stick-pack ignites, for their easy access. But… We’re just not quite satisfied. NLA Uplift is definitely formulated for an uplifting high energy experience, from an assortment of caffeine-like ingredients. In addition to standard caffeine, Uplift also contains phenylethylamine, PABA, choline, Schisandra, and higenamine – all designed to really get you going. On top of the stimulant matrix, there are performance based ingredients like beta-alanine, l-carnitine, and agmatine – but they are low-dosed and will not have as much of a predominant effect. 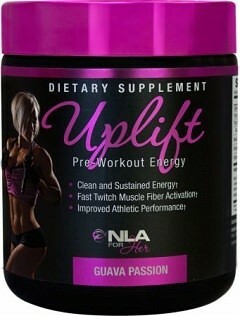 Overall, NLA Uplift is a great tasting option for high-energy that has more character and pizazz than standard caffeine. From here on, the overall quality of these women’s pre workouts starts to go down. 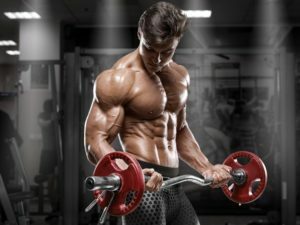 While these products will help your workout compared to taking nothing at all, they simply cannot compete with the top rankers. 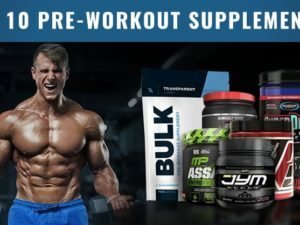 So, consider them if you are brand new to pre workouts and also want to get a really, really cheap deal. This choice may be perplexing, but allow us to explain… Sure, this pre workout looks intimidating, ferocious, and “manly”… But honestly this is just a really strong energy-based pre workout that doesn’t contain the ‘muscle’ and ‘testosterone’ ingredients we mentioned above. Above, you may recall that we discussed how some women prefer super strong energy-enhanced pre workouts. The problem with that, is that they’re typically loaded sub-optimal ingredients for women. Here’s a strongly stimulated pre workout that “breaks free from the mold”. 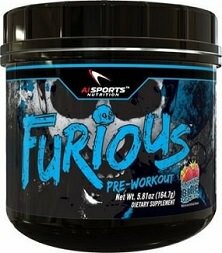 Each serving of Furious is just a modest 6 grams, but is powerful enough to get you through a long workout. 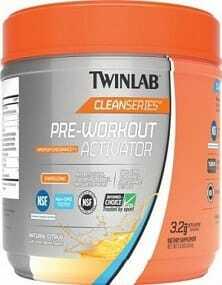 Pre Workout Activator, by Twin Labs, is the only pre workout some men and women are willing to take because it’s a ‘natural’ pre workout supplement. Emphasized with the ‘clean series’ title, this simply implies that it’s an herbal-based blend that opts for natural ingredients. This blend delivers energy and focus through ginseng, ginkgo, and caffeine; all while providing endurance and immune support with reishi, rhodiola, coconut oil, and beta-alanine. Overall, this pre workout is a reasonable choice for both men and women who want a natural pre workout to add to their healthy diet. We expect this pre workout to rise in the rankings very soon. 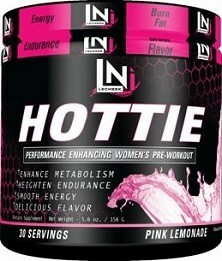 The pre workout Hottie improves on Promera Sports Women’s Elite in some ways; but overall is very, very similar. Like Women’s Elite, this pre workout has a small formula. It’s about twice the size of Women’s Elite coming in at about 1.7 grams of active ingredients. This is adequate for energy, but most of the other ingredients are not even in one tenth of their clinical dosage. If you want something, this will definitely work. But if you want top notch, this isn’t it. Next, we have Women’s Elite by Promera Sports. Compared to other pre workouts, this is a micro dosed supplement. So much so, that there is literally less than one gram of active ingredients. 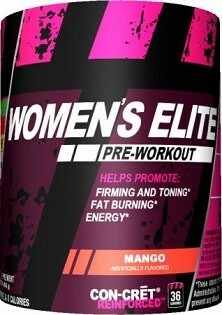 For someone that has never taken a pre workout supplement, you may enjoy Women’s Elite pre workout. However, for the women that’s taken a few pre workouts – this isn’t going to cut it. To finalize our 10 best pre workout supplements for women, we have the unconventional pre workout LIV hybrid. LIV isn’t actually a pre workout supplement, by default. However, for certain types of women, this is a better fit than a traditional pre workout. 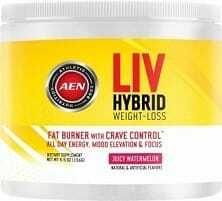 Instead of a supplement that gives a few hours of really intense energy for working out, LIV offers a lower level of constant fat burning energy. If you’re the type of women that wants a fat burner to take in the morning to give you a boost of energy that will make you actually want to go to the gym later on in the day – this is a great option. We hope that if nothing else, we’ve shared with you some helpful tips on what you can expect from pre workout supplements. Making you a smarter consumer is our ultimate goal! If you have any questions about pre workouts for women, please comment below. If you have good/bad reviews on pre workouts you’ve tried, please share your feedback below. The community and other readers will gladly learn from your experience! We look forward to connecting with you! Good read I was looking for a preform out ima go with #1…thank u! Are there any pre-workous for women sold at Walmart target CVS Ride aide or Walgreens any suggestions? I loved all these reviews and descriptions you gave us. Thank you! Could you tell me what I would want to take if I were more wanting to gain muscle and strength? I really don’t want to lose any more. Would Uplift help me with that? You forgot the NEW Chick Pump it blows all these away by far!! !